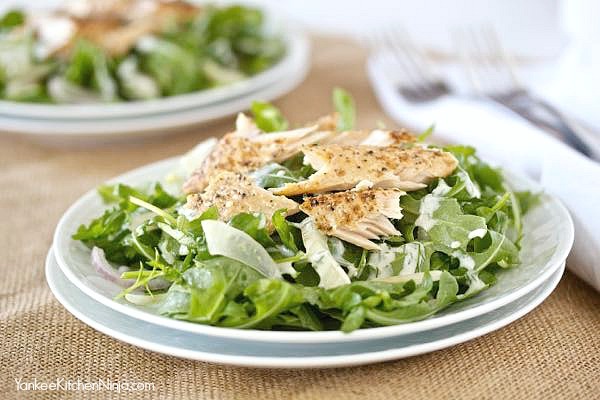 While this would be an easy but impressive salad course at any dinner (think of serving this at the holidays! 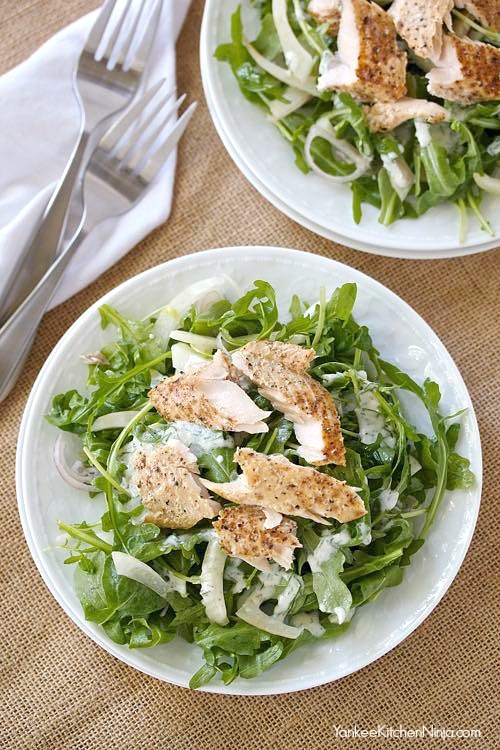 ), it's perfect -- and I prefer it -- as a standalone, light but delicious lunch or dinner. Pair this smoked trout salad with a warm, crunchy baguette and a nice, crisp glass of white wine and you'll feel you've been transported to a Parisian sidewalk brasserie. Have you tried smoking any fish yet? Leave a comment: The Ninj wants to know. In a small bowl, whisk together the yogurt, 1 1/2 teaspoons of the oil, horseradish, fennel fronds and 3/4 teaspoon of the vinegar; set aside. 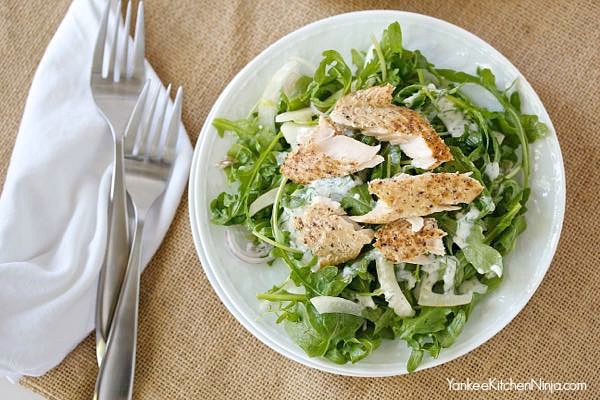 In a medium bowl, toss the arugula, fennel and shallot with 1 1/2 teaspoons of the olive oil and 1/2 teaspoon of the vinegar. Season to taste with salt and pepper. Divide the greens between two plates. 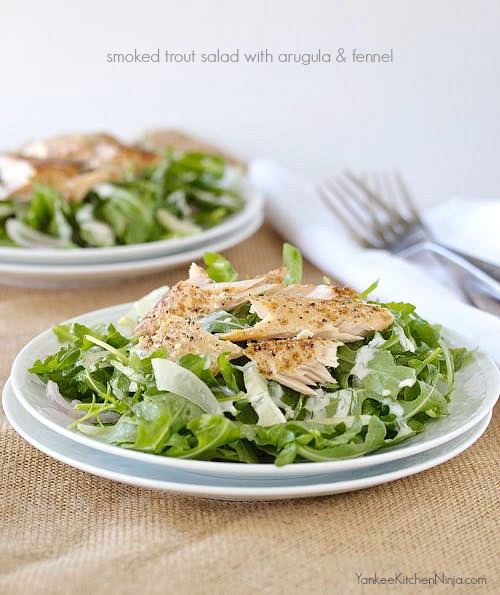 Top with the smoked trout and drizzle with dressing.